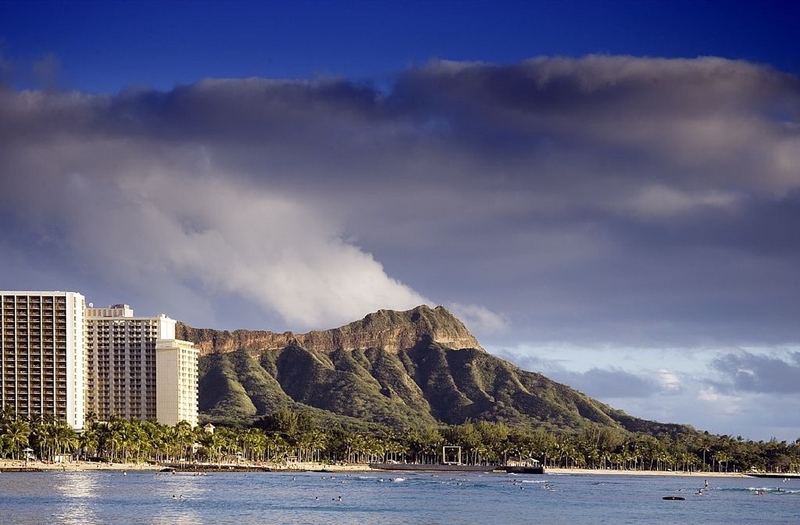 Hawaiians call it Lē‘ahi and British sailors called it Diamond Head this stunning crater was created 300,000 years ago during a single volcanic eruption and has become one of the most recognizable features of the Hawaiian islands. 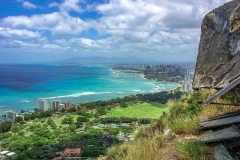 Altop Diamond Head you can enjoy stunning 360-degree views of Honolulu, the Pacific Ocean, and surrounding mountains all of which make this hike well worth the hard work. 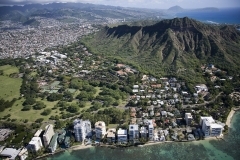 You are able to see Koko Head Crater and the beaches of Waikiki. 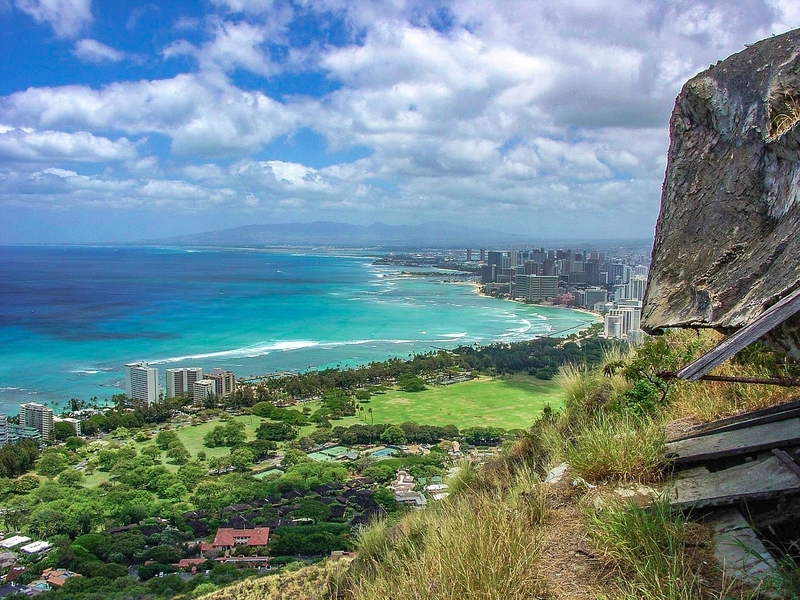 The trail to the summit of Lē‘ahi was built in 1908 as part of the Fort Rugur military base. The .8-mile hike from the crater floor to the summit is steep and moderate, gaining 560 feet. 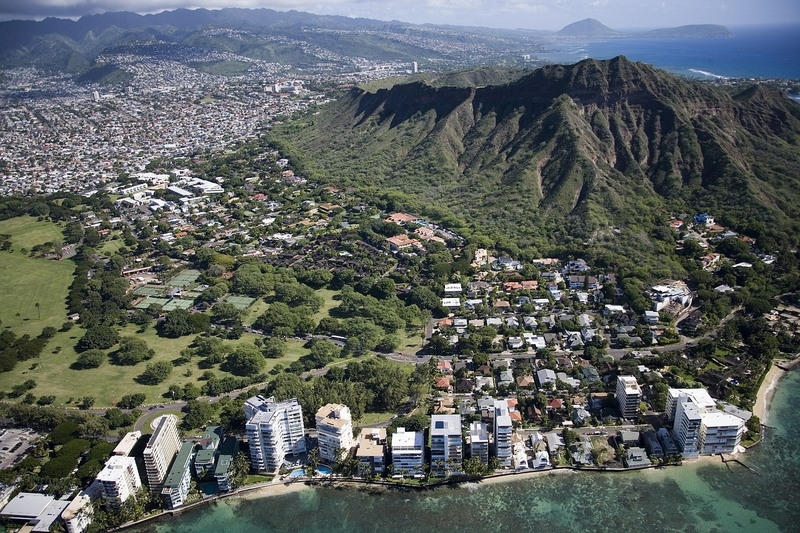 The hike gives a glimpse into the volcanic and military history of Diamond Head. The hike is achievable to most people of all ages and athletic levels given you allow enough time and bring enough water. The trail starts off on with a dirt trail and switches backs with some lose footing at times. Along the way, there are many vistas to take a break and catch your breath for the stairs… The stairs, about 100 of them lead up to a tunnel and out a bunker leading to more stairs. At the summit take your time and enjoy the view, you deserve it. Take a moment to think back at a time when there were no skyscrapers and roads and just nature. Please remember to respect the locals and leave no trace. The last entrance to hike the trail is at 4:30 pm. The gates are locked at 6:00 pm daily and all visitors must be out of the park by this time.